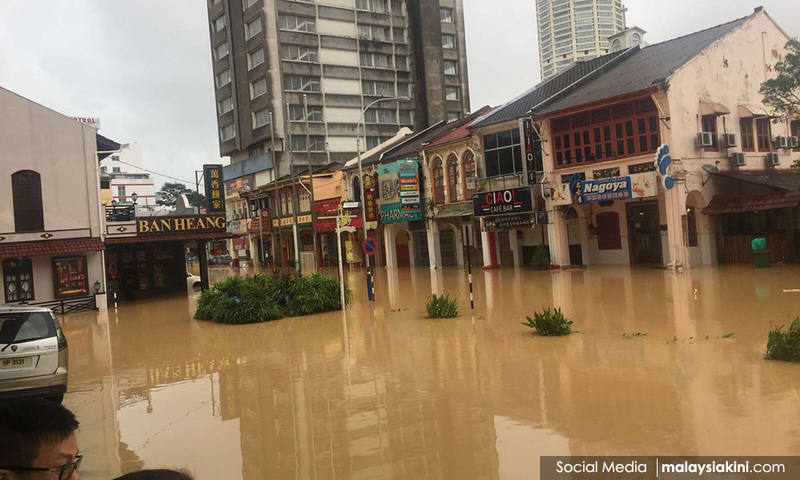 Penang Chief Minister Lim Guan Eng reached out to Deputy Prime Minister Ahmad Zahid Hamidi for the army's help after his state was hit by severe floodings. 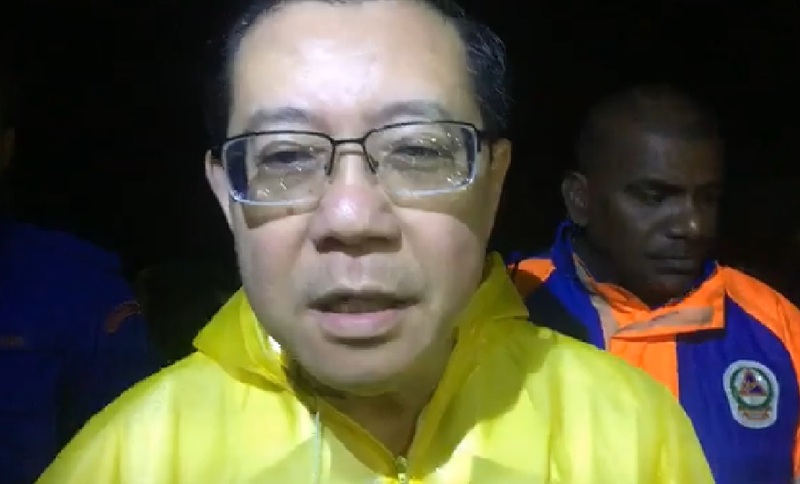 Lim said he made the phone call to Zahid at 3.30am today to help with the floods. “The heavy rain continues to hit Penang, I have successfully contacted him, and he has promised to send the army to help save Penang. “I thank him for answering my call at 3.30am," Lim said during his visit to the Bagan relief centre in Seberang Perai, which was without electricity. 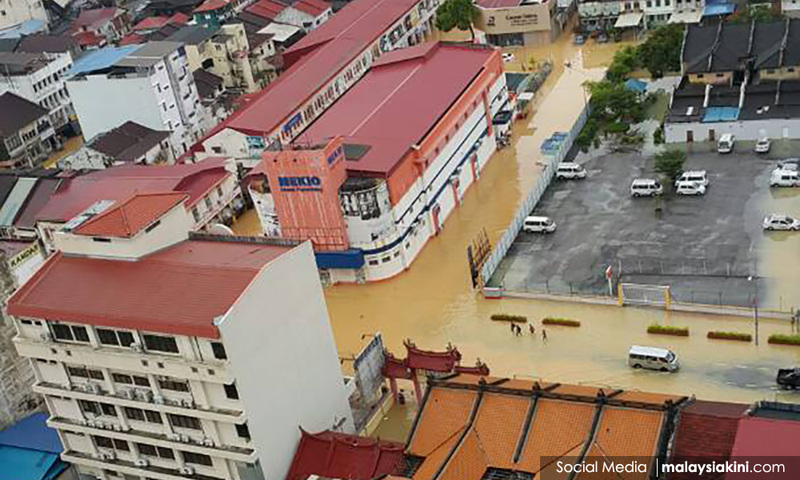 Lim described what Penang was experiencing as unprecedented. 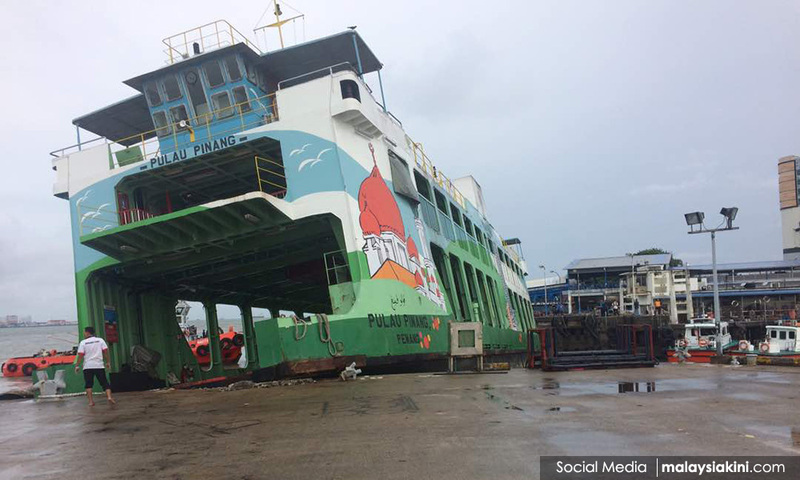 "Tonight we saw a disaster that had never happened in Penang whereby 80 percent of the state was hit by typhoon-like winds and unrelenting rain," he said. 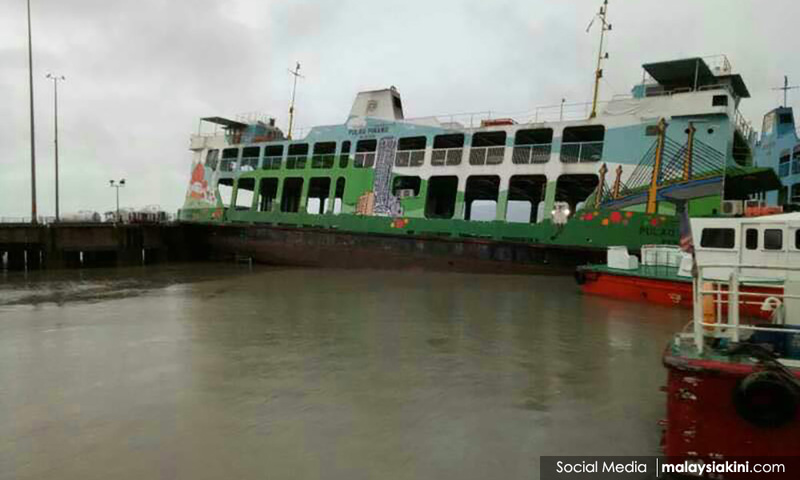 Hours before the heavy rainfall, Typhoon Damrey made landfall in Vietnam, killing at least 19 people. The category 2 typhoon had since weakened to a tropical storm. Concurrently, the Pacific Disaster Center and typhoon tracking portal cycloane.com reported the formation of a tropical disturbance over the Malaysian peninsula which is referred to as "invest 95W". "The disturbance remains quasi-stationary and is positioned over the Malay peninsula," said a report by cycloane.com. Penang saw flooding since yesterday evening as strong winds lashed across the island and mainland, uprooting trees and causing massive traffic jams. The Malaysian Meteorological Department last night issued a heavy rain warning with Penang and parts of Kedah receiving a "red" notice. These areas are expected to receive sustained and very heavy rains. Other affected areas are parts of Perlis, Perak, Kelantan and Terengganu but are less severe. State executive councillor Phee Boon Poh, who was also at the Bagan relief centre, said one death had been reported. "It is a Bangladeshi who was killed by a fallen tree in Bagan Dalam,” Phee told Malaysiakini, when contacted. “Heavy rain and strong winds are coming in waves, and people are still coming to our relief centres. 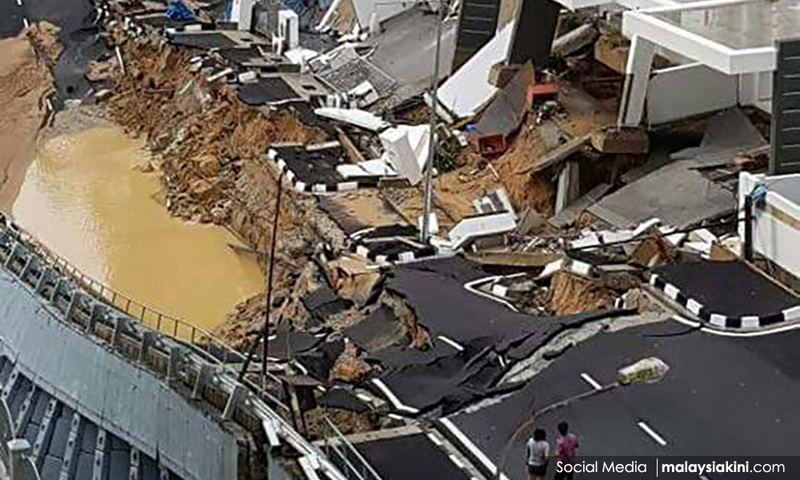 “So far six areas have been hit by floods, and 300 homes affected,” added the Sungai Dua assemblyperson. 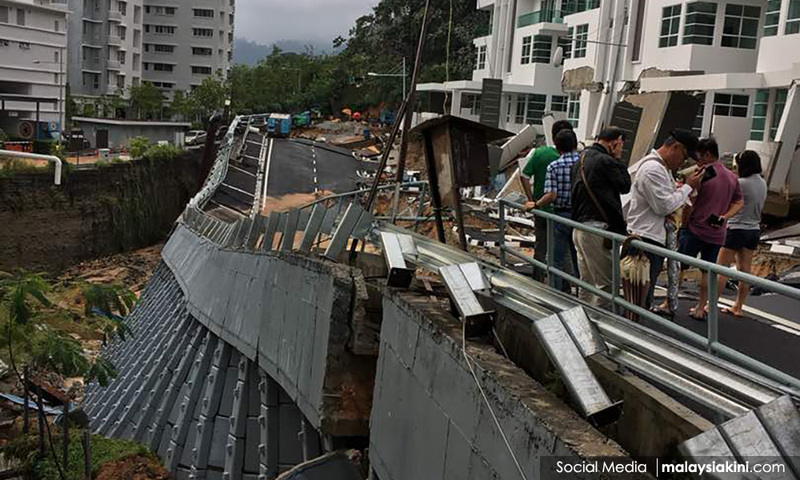 Strong winds caused trees to be uprooted in Tanjung Bungah and Taman Tun Sardon in Bukit Gelugor, where the Penang Island City Council workers have cleared the debris. Many vehicles were also stalled in water including along Jalan P Ramlee and in Bayan Baru. Several areas also experienced blackouts. The public has been advised to stay home as strong winds and heavy rains are expected to continue until Sunday.